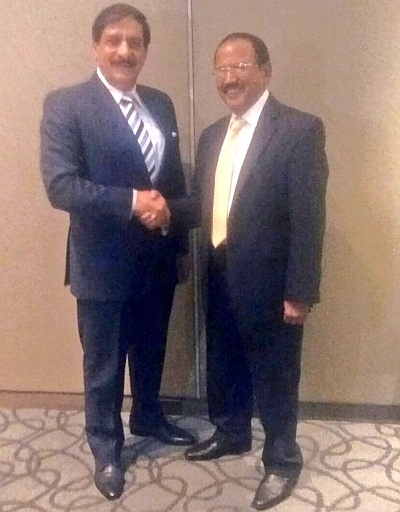 The outcome of the Bangkok NSA-level talks underscores that Pakistan has got exactly what it wanted -- talks at different levels, talks on Kashmir, talks on mutual concerns regarding terrorism, talks on ceasefire on the border. What if any has been India’s gains remains unexplained, says Ambassador M K Bhadrakumar. There can be no two opinions that the resumption of talks between India and Pakistan is always a welcome development. India’s obdurate stance on dialogue had become unsustainable. The Indian stance on talks with Pakistan, which was forcefully articulated by none other than External Affairs Minister Sushma Swaraj in August in a memorable press conference in Delhi, had completely collapsed. However, if the Indian public tends to see the meeting between the national security advisors of the two countries that took place in Bangkok on Sunday as a grand betrayal, the government can only blame itself. The government made no effort to take the public into confidence following the 167-second meeting between the two prime ministers in Paris over a week ago to put across the point of view that a pressing need has arisen to re-engage Pakistan. At a minimum, Delhi could have avoided the shroud of secrecy beneath the four-hour long engagement in Bangkok yesterday in a “candid, constructive and constructive atmosphere”. It is all too funny for words. What explains the need for such cloak-and-dagger Kissinger-style diplomacy? Was it to cover up the dramatic U-turn in the government’s Pakistan policy? One would like to believe that Prime Minister Narendra Modi himself had a profound rethink and decided that it is in the national interest to resume the dialogue with Pakistan. But, then, the spin being given to the Bangkok meeting by government sources is dripping with sophistry. It is pathetic to hear the spin that while the Kashmir issue came up during the Bangkok meeting, it was only about the ‘law and order’ part of the issue and not the ‘political part’. The public expects and deserves a credible explanation. To be sure, the government can make a convincing case to explain to the public that a fundamental rethink in the country’s Pakistan policy has become necessary and unavoidable. Any number of convincing reasons can be advanced to explain why India will be far better off without carrying the Albatross of the Kashmir issue, without the border tensions, without having to live under the shadow of terrorism. No matter what the government says, the economic outlook is bleak. Though the financial year has some ways to go, the end of the chronological year is when we traditionally go through the routine of taking stock. To many who watch the economy closely, this year is significant because the nominal gross domestic product growth rate has fallen to a 10-year low of 5.2%. We mostly judge our economic performance by real GDP, which is adjusted for inflation, unlike nominal GDP. As a result, nominal GDP often appears higher than real GDP. Whenever and wherever business people meet, the conversation invariably veers to flattening sales and falling profits despite the government crowing that real GDP is growing at 7.4%. But nominal GDP growth rate is a better measure of current market prices. For much of the past decade, India’s nominal GDP growth was in the 10%-15% range, as also was corporate profitability growth. Since inflation used to be in the 4-8% range, real GDP was in the 6%-9% range. The problem with the present year is that nominal GDP – the GDP before inflation – has fallen to a low of 5.2%, and since inflation (wholesale price index) has become negative 2.2%, real GDP is at 7.2%. But the popular mood is determined by profitability and not by economic legerdemain. Now consider this. If inflation were positive, the real GDP growth would have been less than 5.2%. It is during periods of optimism and buoyancy that prices, sales and profits rise, all of which implies some inflation. That’s why most economists, businessmen and politicians maintain that moderate inflation levels are needed to drive consumption, as higher levels of spending are crucial for economic growth. A modest inflation is always good for the system, like good cholesterol. The problem with inflation is when it becomes rampant. To get some idea about how much we are hurting, consider this. Nominal Gross Value Added is the measure of the value of goods and services produced in an area, industry or sector of an economy. In the first half of 2014-’15, nominal GVA was at 13.7%. In comparison, in the first half of 2015-’16, nominal GVA is 6.2%. At the same time, inflation was almost 5% last year and it is a negative 2% this year. This deflation has been primarily caused by the global collapse of commodity prices. Prices of oil, steel, copper, aluminum and coal have fallen to their lowest levels in years. Tata Motors has a clear mandate from the Tata Group to be the lead bidder and integrator on the FICV programme. Tata group is banking on winning the Rs 60,000-crore project to design and build a Fighting Infantry Combat Vehicle (FICV) under Make in India in Defence to bring more than a dozen group companies together. Tata Motors is one of the ten contenders — L&T, Tata Power (SED), Tata Motors, Mahindra & Mahindra, Bharat Forge, Pipavav Defence, Rolta India, Punj Lloyd, Titagarh Wagons, and the Ordnance Factory Board (OFB) — for the FICV programme, who have been issued an expression of interest (EOI) by the defence ministry. These firms have been asked to submit proposals by January 15, 2016 to build the FICV, a tracked, armoured battle-taxi, which will be operated by three crewmembers and carry eight combat soldiers into battle. As per the EoI, the FICV must be air-portable by IL-76 and C-17 aircraft, and fire anti-tank guided missiles up to 4,000 metres. From the bidders, two firms will be selected to design and develop separate FICVs, which will be reimbursed 80 per cent of their costs by the defence ministry. Out of the two FICVs developed, one will be selected for mass-production to replace the army’s fleet of obsolete 2,610 Russian BMP-2 carriers. According to Dr Mukund Rajan, Tata brand custodian and group spokesperson, the group has identified defence and aerospace as one of the four clusters under which Tata companies will work collaboratively and tap synergies. Tata Motors has a clear mandate from the Tata Group to be the lead bidder and integrator on the FICV programme. “Our large presence in the defence and aerospace sector is an outcome of the legacy bequeathed by Ratan N Tata. The relationships he encouraged the group to strike with global majors, and the capabilities he inspired the group to create, are now being leveraged further by bringing the various Tata companies together,” Rajan said. Being Hindu is the journey of a common Hindu, an attempt to understand why for so many Hindus their faith is one of the most powerful arguments for plurality, for unity in diversity and even more than the omnipresent power of God, the sublime courage and conviction of man. An extract. For a moment, think about this. In the history of theology, one question reigns supreme amid the bloodshed – which is the one true god? Empires rose and fell to defend the one true god, or to spread his word (you will notice that ‘one true god’-s are usually male), or to destroy the realms of the infidel or the unbeliever and cleanse places, kingdoms and nations for the rule and supremacy of the only messiah. Even today thousands of years after the last major messiahs died the bloodshed to establish the reign of the true god continues. But what if the Hindu point of view was better understood in our world? What if the fundamental premise of Vedanta philosophy seeped in our ethics? What if the very heart of the Hindu argument was better understood? And what is that core? The Hindu, fundamentally, believes that there is no one true god. There is therefore no false god. Naturally if you don’t have one true god, it is tough to have a false god. This article was originally published by The National Interest on November 19, 2015. In early November, Pakistan’s chief of army staff, General Raheel Sharif, made an important visit to Saudi Arabia. The general met with King Salman and other top officials in Riyadh, where he stressed Islamabad’s commitment to ensuring the safety and protection of Mecca and Medina, as well as Saudi Arabia’s territorial integrity. The Saudi officials, in turn, called for peace and stability in Pakistan and praised the Pakistani military’s efforts to fight terrorism in the ongoing Zarb-i-Azb campaign. Dignitaries from both sides issued a joint statement emphasizing their “responsibility towards Muslim ummah” and mutual fears stemming from the plethora of ongoing regional security crises. The Saudi media credited General Sharif’s two-day trip with ending a “somewhat cool” period in relations dating back to April, when the Pakistani parliament unanimously voted against joining Operation Decisive Storm (later named Operation Restoring Hope). Observers stated that the meeting marked the beginning of a “reset” in Saudi-Pakistani ties and an end to the friction caused by their disagreement over Yemen earlier this year. Given what is at stake in the region, both governments clearly have a vested interest in putting the alliance back on track. However, shifts in the Middle East and South Asia’s geopolitical order raise questions about the alliance’s long-term prospects. Saudi and Pakistani leaders have maintained warm relations throughout modern history. One former Saudi intelligence official called the relationship “probably one of the closest relationships in the world between any two countries.” It is important to remember that the Saudi monarchy is credited with having saved current Pakistan Prime Minister Nawaz Sharif’s life. In 2000, the kingdom provided him asylum after the Saudis convinced then-President Pervez Musharraf to release him from jail, where he had been held since the military ousted Sharif in 1999. Construction on the long-stalled Turkmenistan-Afghanistan-Pakistan-India (TAPI) natural gas pipeline will soon commence with ground-breaking ceremonies scheduled for December 13. In the run-up to the start of construction the previously troubled pipeline project is poised to receive new financial backing from an international oil company based in the United Arab Emirates as well new geopolitical support from Kazakhstan, both increasing the prospect of TAPI’s long term viability. The TAPI pipeline is slated to transport 33 billion cubic meters (bcm) of natural gas from Turkmenistan’s massive Galkynysh field to neighboring South Asia, offering some stability to energy-starved Afghanistan and Pakistan as well as helping to meet the Indian economy’s own skyrocketing demand. TAPI will provide Afghanistan with 14 million standard cubic meters a day (mmscmd) of natural gas, while India and Pakistan will each receive 38 mmscmd. However, the $10 billion “Peace Pipeline” designed to promote regional cooperation will have to traverse a dangerous route before reaching India, passing through Afghanistan’s Kandahar province and the neighboring Quetta region of Pakistan, traditionally the heartland of Taliban militancy. Progress on TAPI’s construction became bogged down precisely because of the risk involved in the route. At the November 2014 TAPI Steering Committee meeting held in Turkmenistan’s capital Ashgabat, representatives from the four nations and the Asian Development Bank (ADB), which assumed the role of transaction advisor to facilitate the construction of the pipeline, began to assiduously confront the challenge. The major stumbling block for TAPI, the selection of a consortium leader willing to assume the risk for the pipeline’s construction, was overcome in August 2015 with Turkmenistan’s decision to assume the role. According to the agreement reached between the four principals, Turkmenistan will assume a 51 percent stake in the project and will become the lead operator. Afghanistan, Pakistan, and India will each hold a minimum 5 percent share. This arrangement leaves up to a 34 percent stake for international energy majors to join the project. As analyzed previously in The Diplomat, Ashgabat seemed to signal that it is willing to offer a sufficient profit share in the gas transported from Galkynysh to warrant an international company’s assumption of the risk of the pipeline construction. While Turkmenistan technically will retain legal ownership of the land, it would agree to some form of modified Technical Services Contract that would functionally provide sufficiently similar remuneration to a production sharing agreement. The first China-Africa summit since 2006 provides clues about the future of China’s role on the continent. This week, the Forum on China-Africa Cooperation (FOCAC) convened its first summit since 2006. Chinese President Xi Jinping joined more than 40 leaders of African countries for the massive meeting in Johannesburg, South Africa. The typical highlights of FOCAC are all about the numbers: how much in aid and loans China pledges to the African continent (this year, Xi announced the jaw-dropping figure of $60 billion, although as usual there’s no timetable and no clarity on whether that includes projects already previously announced). But it’s also worth acknowledging that China and African countries have changed greatly in the nine years since the last summit. These new realities, both locally and globally, are changing the way they cooperate. With that in mind, here are four areas that have blossomed in the past few years — four trends to watch that may end up defining the future of China-Africa relations. The stereotypical image of China-Africa relations goes something like this: China imports natural and energy resources from the continent, while exporting its cheap manufactured goods. There are definite limits to the accuracy of that perception (see Deborah Brautigam’s myth-busting article in Foreign Policy for more), and whatever truth there was to the commodities trade driving China-Africa relations is already fading. China’s economic fortunes for the last 30 years have been largely based on exports, but that’s something Beijing wants to move away from as it restructures the country’s economy. Instead, China’s grand plan is to move up the value chain – which involves not only upgrading China’s capabilities to make high-tech products, but also building up lower-end industrialization capacities in other countries. Doing so will also help Chinese companies in their attempts to “go global” as they set up factories in other countries. That’s an often overlooked part of China’s “Belt and Road” strategy, which emphasizes industrialization in addition to infrastructure. By reforming its military, China hopes to catch up to global security trends. China announced plans for sweeping military reformsthis week. Though details are scarce right now, as the reforms are implemented, clearer policies will be introduced. Like continuing economic reform, military reform will also become a revolutionary event in Chinese development during the Xi Jinping era. Chinese military reform is not only about surface changes, but about changing the inner workings of the military. China wants to catch up with the changes occurring in other militaries worldwide. Xi Jinping mentioned during the military reform working conference that China’s military organization structure must be modernized by placing the Central Military in direct control and creating new battle zone commands. These changes all have a subtext – reform of the military region system. Outsiders often make analogies to the military organizational systems of the United States and Russia. In fact, although the military systems of the United States and Russia are different, their division of battle zones under joint strategic commands is similar. These “battle zones” (as China’s will be called), are set up to execute strategic missions and maintain readiness. They are designed to allow all branches of the military within the zone effectively perform their role to ensure the strategic interests of their country. Even the United States and Russia, which have advanced military weapons, have reformed their military divisions in the past decade – Russia by establish the Arctic Joint Strategic Command in 2014 and the United States by setting up Africa Command in 2007. Chinese military reform is also necessary, and long overdue. The last division of military regions in China was made in the 1950s, there have been no strategic adjustments for more than 60 years. China’s military has not adapted to the modern era. In keeping with the adage that things are seldom what they seem, reports from Dec. 4 that a Turkish military spearhead had penetrated northern Iraq were exaggerated. Local news media claimed that three Turkish regiments entered Iraqi territory on Dec. 3, deploying in the vicinity of the Islamic State-held city of Mosul in Nineveh province. As it turns out, this supposed Turkish intervention was simply a small rotation of forces, switching out troops assigned to a routine training mission across the border. Ankara reportedly has been training Kurdish peshmerga and other Sunni volunteer forces in the Kurdish-controlled regions of Iraq since November 2014. The dispatch of 130 Turkish troops — described as a battalion but closer to the size of an infantry company — is much less remarkable than the commitment of three regiments. The presence of these soldiers will not alter the course of the operation to retake Mosul, nor affect its timeline, though formal military training may assist the overall fight against the Islamic State. It also is not an anomalous move by Ankara: In addition to ongoing training operations in Kurdish areas, there is a Turkish military presence in the Amedi district of Dohuk province to combat revolutionaries from the Kurdistan Workers’ Party, also known by its Kurdish acronym, the PKK. Initial reports from local news agencies alleged that Turkish troops entered Iraqi territory on Dec. 3, massing at the Nargizliya camp (also known as al-Shekhan camp), a militia base in Shekhan District. 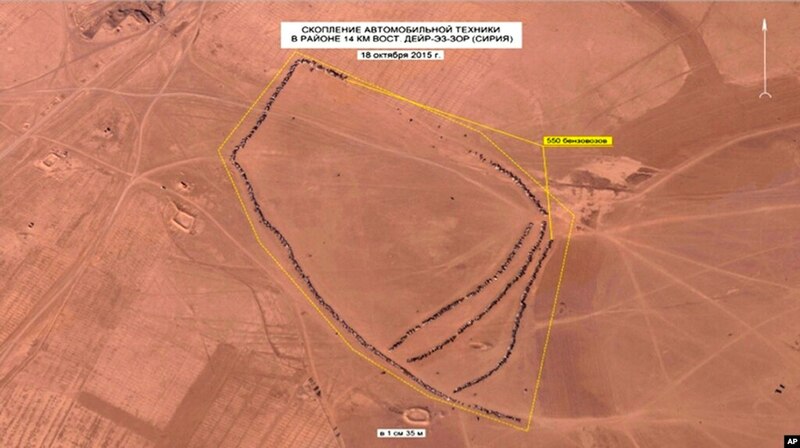 The Turkish military uses the location to train Sunni volunteer forces. 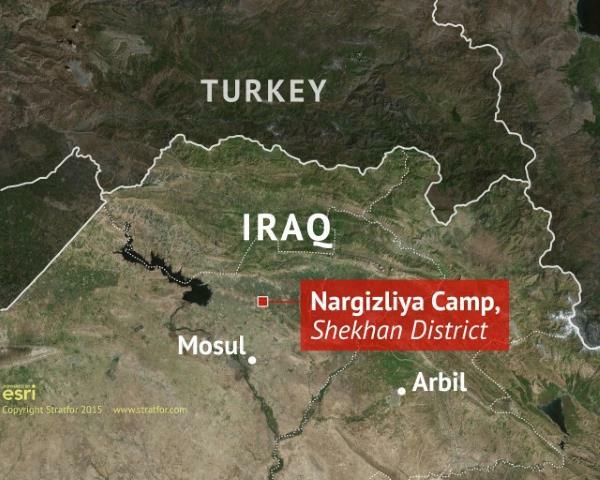 The Nargizliya camp sits on the internal border between Dohuk and Nineveh provinces and has so far processed around 3,500 combatants that are now actively involved in operations against the Islamic State. Media reports also suggested that an assault on Mosul was imminent. News agencies cited an anonymous peshmerga official as well as sources from a militia known as the National Crowd for Liberating Nineveh. The sources claimed that the three supposed Turkish regiments would help forces in the region assault and reclaim Mosul. Hours after the statement was released, however, several local leaders denied the report, including Nineveh Gov. Nawfal Humadi, Nineveh Operations Command chief Maj. Gen. Najim al-Jubouri and representatives of the Kurdistan Democratic Party. When analyzing the situation, Stratfor noted the very tenuous reporting on these movements. 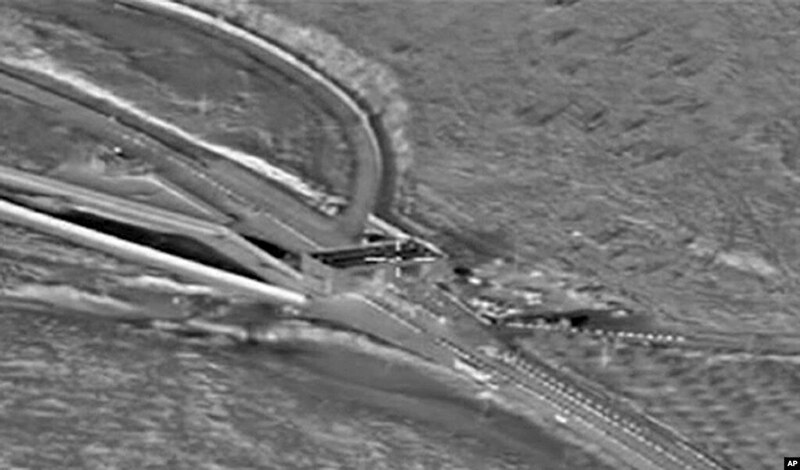 In our initial assessment, we advised that the information should be regarded with extreme caution. The size, nature and intent of Turkish forces, as indicated, were a misrepresentation. Rather than Ankara facilitating the training of the National Crowd for Liberating Nineveh, inaccurate reporting suggested an actual deployment of large Turkish units for a mission to retake Mosul. 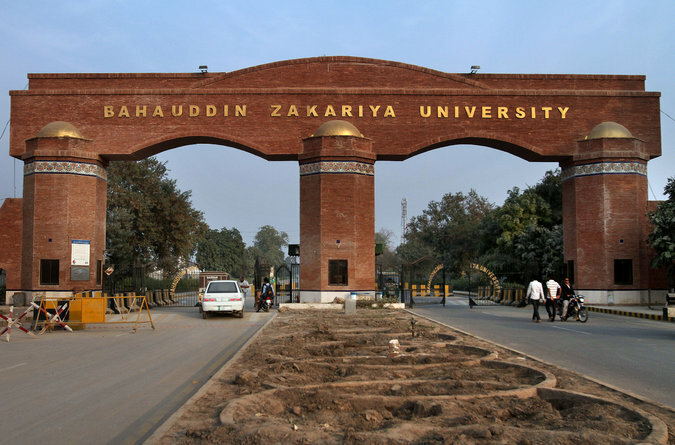 The main gate of Bahauddin Zakariya University, where Tashfeen Malik studied pharmacy, in Multan, Pakistan, on Sunday. CAIRO — As a tide of Islamist violence washed across Pakistan in recent years, Bahauddin Zakariya University in the southern city of Multan struggled to halt spreading intolerance, with mixed results. 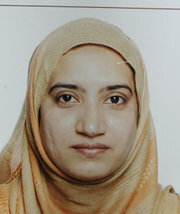 That university has come into the spotlight in recent days as one of the few known way points for Tashfeen Malik, the Pakistani-born woman who along with her husband, Syed Rizwan Farook, took up assault rifles and, the police say, killed 14 people last week in San Bernardino, Calif.
Ms. Malik’s role in the decision to attack is of particular interest, in part because on the day of the assault she posted on Facebook that the couple was dedicating the massacre to the Islamic State. She and her husband were killed in a gun battle with the police after the attack. Teachers described Ms. Malik as a polite and driven student who was visibly devout, always wearing the niqab face covering and avoiding contact with male students. But that hardly made her unique in southern Pakistan, particularly after she had spent most of her life in Saudi Arabia, and the timing and circumstances of her shift into militancy remain a mystery to investigators. Still, in the turbulence of that moment, and in the broader generational tensions stemming from Pakistani families who, like Ms. Malik’s, go to Saudi Arabia for opportunity and return practicing a more conservative brand of Islam, there are clues to the cultural and religious way stations of her apparent transformation. The United Nations’ sanctions monitoring team warned last Tuesday that Libya was emerging as a key stronghold for Islamic State close to the shorelines of Europe. The warning aligns with assessments by US intelligence officials that the organisation’s franchise is entrenching itself in the midst of chaos in the north African country. Isis’s expansion outside its heartlands in Iraq and Syria has raised questions about how more than a year of a relentless air campaign has affected it. The group has faced military defeats in north-eastern Iraq and Syria in recent months, but it also carried out large-scale international terror attacks. More perplexing is that, as Isis faces increased pressure at home, many fighters are reportedly returning to Libya to shore up its franchise there. This has led some western officials to saythe group might be preparing to use the Libyan front as a fallback base in case of a defeat in Iraq and Syria. The UN report stated that around 3,500 Libyan nationals had left the country to join jihadi groups in Syria and Iraq. Of those, 800 had returned to Libya to join the local affiliate. The relocation of Libyan fighters, in particular, deserves a closer look to examine Isis’s current calculations. In Syria and Iraq, Libyan jihadis are widely credited with some of the group’s key operations, including suppressing a tribal rebellion in Deir Ezzor and taking areas in Kirkuk last year. The faction under which they fought, the al-Battar Brigade, was notorious for incessant suicide attacks and a merciless killing rampage after a takeover. Although most of its rank-and-file come from Libya, the faction includes foreign fighters from Europe, mostly from Belgium and France, and from Tunisia. It is difficult to imagine that the American people misinterpreted Obama’s pledge of “no boots on the ground,” which he only made publicly sixteen times between August 2013 and July 2015. Moreover, it is unclear how he knows how Americans interpret his pledges. However, the obvious reason that all presidents and senior administration officials initially downplay the mission and role of U.S. military interventions is to catalyze domestic political support. This is because opinion polling of Americans reveals that they overwhelmingly do not support wars that they believe will be unilateral, long, bloody, and costly. Obama was simply following the precedent of his predecessors by first downplaying a U.S. military commitment, then incrementallyincreasing that commitment and approving new missions, all while consistently claiming that there has been absolutely no mission creep and no violation of previous pledges. Eachgradual accretion of personnel, weapons, and missions is announced in a “nothing new to see here” manner and packaged as a wise and minor policy adjustment that will bring the United States closer to achieving its strategic objective—in this case, to “degrade and ultimately destroy” the self-declared Islamic State. When the first 275 U.S. troops were sent to Iraq in June 2014, Pentagon spokesperson Rear Adm. John Kirby pledged that the deployment “will be of a limited duration” and be “a discrete, measured, temporary arrangement to help us to get eyes on the ground, to figure out what’s going on and get a better sense of it.” Compare that to the latest deployment of two hundred special operations forces, which Secretary of Defense Ashton Carter described on Tuesday as “a force that will essentially do raids throughout the territory of Syria,” and is intended “to make ISIL wonder…when they go to bed at night who’s going to be coming in the window?” A puzzling mission set where Navy SEALS are supposed to serve as nightmare fuel for jihadists. The rise of the Islamic State and its competition with al-Qaeda has fundamentally reshaped the global jihadist movement. Al-Qaeda, the once-dominant force within the movement, which adopted a strategy focused on fighting the United States in a competition between two actors, has faltered as the Islamic State’s strategy designed for war both with the United States and al-Qaeda has demonstrated results. Rather than competing with the Islamic State’s loud campaign trumpeting its brutality and military success, al-Qaeda has instead sought to avoid attention and rebrand itself as “moderate.” What is the future of the jihadist movement? Whose strategy will succeed – al Qaeda’s or the Islamic State’s? How should the United States analyze and respond to the new environment? In a new policy paper from New America, Daveed Gartenstein-Ross and his coauthors explore these questions. France will not be able to go it alone in the long fight to destroy the Islamic State (ISIS), underscoring its calls for greater European participation and coordination. This was the conclusion of a panel of experts convened by theCenter for the National Interest, the parent institution of this publication, on Thursday. Its morning discussion on “France’s Foreign and Defense Policy Priorities After Paris” was moderated by Andrew Bowen, the Center’s Senior Fellow and Director of Middle East Studies. Hudson Institute research fellow Benjamin Haddad reminded the audience of France’s familiarity with terrorism—alluding to its experience in Algeria—but he argued that the current ISIS threat represents a new set of challenges on a much greater scale. He expressed concern that French security services are overwhelmed, noting that the country’s terror watch list has ballooned to include 11,000 people while the General Directorate for Internal Security (DGSI) has only roughly 4,000 agents. In the wake of the Paris terror attacks, Western leaders ramped up airstrikes against ISIS. But the real fight is happening on the ground. Mike Giglio reports from the Syrian front for BuzzFeed News. posted on Dec. 1, 2015, at 7:51 p.m.
Far below the warplanes flown by the U.S. and its allies in their campaign against ISIS, Syrians in forgotten towns and villages like Darwish’s are witnessing what it means to fight the jihadis on the ground. At the southern edge of Hasakah province, near the border with Iraq, the path the battles have traced over the last month winds along dirt roads, through improvised minefields, and past mud-brick homes crushed by airstrikes, signs of a desperate war often fought across desperate land. Saudi Arabia’s Depraved Justice A Sri Lankan housemaid is soon to be stoned to death, as the world turns a blind eye. As a morality tale, we should recognize that our indifference to this woman says as much about ourselves as it does the brutality of Saudi Arabia’s legal system. A married housemaid, she was convicted of adultery, while the man, a bachelor, also a vulnerable Sri Lankan migrant worker, was given 100 lashes, as prescribed by Islamic law. It is a measure of how violent Saudi Arabia’s capital punishment laws are that beheadings can at times seem compassionate. Decapitation, after all, is nothing compared to lapidation. Beheading is quick; stoning, slow. It’s death by torture. “It doesn’t matter to me: two, four, ten—as long as I’m doing God’s will, it doesn’t matter how many people I execute,” Muhammad Saad al-Beshi, Saudi Arabia’s leading public executioner, said about beheadings in a 2003 interview with Arab News. Proud of Beshi’s “godly” work, the Saudi kingdom gave him a special gift: a costly executioner’s sword, which he keeps razor sharp. After Russian President Vladimir Putin signed a decree on the adoption of economic sanctions against Turkey, the acute crisis in Russian-Turkish relations incited by the Nov. 24 shoot-down of a Russian military aircraft has, by all accounts, turned into a protracted standoff. Escalation. This possibility cannot be excluded so long as the chance exists of future clashes between Russia and Turkey in the Syria-Turkey border zone. It may turn into an reality if Ankara continues supporting the Syrian Turkmens and Russia does not cease its strikes on the positions of the Turkmens and other Turkish allies among the Syrian opposition forces. Any incident could lead to unpredictable military consequences. Political reasons for escalation may be steps taken by either side that sharply alter the balance of mutual interests; for example, if the Bosporus is closed to Russian ships. In the wake of the Nov. 13 attacks in Paris and the Nov. 20 attack against the Radisson Blu Hotel in Bamako, Mali, I have been fielding a lot of press queries about countering the armed assault tactics used in both attacks. Since there seems to be so much interest in the topic, it seemed worthwhile to discuss both government and personal responses to armed assaults in this week's Security Weekly. First, it is important to realize that armed assaults employing small arms and grenades have long been a staple of modern terrorism. Such assaults have been employed in many famous terrorist attacks conducted by a wide array of groups, such as the Black September operation against Israeli athletes at the 1972 Munich Olympics; the December 1975 seizure of OPEC headquarters in Vienna, Austria, led by Carlos the Jackal; the December 1985 simultaneous attacks against the airports in Rome and Vienna by the Abu Nidal Organization; and even the December 2001 attack against the Indian parliament building in New Delhi led by Kashmiri militants. In a particularly brutal assault, Chechen militants stormed a school in Beslan, North Ossetia, in September 2004, taking more than 1,000 hostages and booby-trapping the school with mines and improvised explosive devices. The attack, standoff and eventual storming of the school by Russian authorities after a three-day siege resulted in the deaths of more than 320 people, half of them children. More recently, we saw armed assaults used in the November 2008 Mumbai attacks; the October 2014 attack against the Canadian National War Memorial and Parliament in Ottawa, Canada; the January 2015 Paris attacks against Charlie Hebdo and a kosher deli; and the July 2015 attack against an armed forces recruitment center and a Navy reserve center in Chattanooga, Tennessee. In some instances, such as the December 1996 seizure of the Japanese ambassador's residence in Lima, Peru, by the Tupac Amaru Revolutionary Movement, the objective of the armed assault is to take and intentionally hold hostages for a long period. In other instances, such as the May 1972 assault on Lod Airport by members of the Japanese Red Army, the armed assault is a suicide attack designed to kill as many victims as possible before the assailants themselves are killed or incapacitated. Many recent jihadist attacks have been the latter, and as such they more closely resemble domestic active shooter situations than a barricade or traditional hostage situation. Because of this, they must be responded to differently. Washington is deploying more soldiers to fight Islamic State. On December 1,Secretary of Defense Ash Carter announced the Pentagon would send a “specialized expeditionary targeting force” of two-hundred U.S. commandos to Iraq. American elite troops have long operated in Iraq and Syria and the arrival of more isn’t a surprise. But what, specifically, will these soldiers do? Can two-hundred commandos change the tide of the war? According to Malcolm Nance, a retired U.S. Navy intelligence officer and counter-terrorism expert, those soldiers could make all the difference. Nance is no stranger to Islamist terror—he literally wrote the book on the subject—and has lived in and around the Middle East for the past ten years. He says he’s got a plan that would change the dynamic of the war. It starts with U.S. commandos. But Nance says the United States can’t do it alone. The American special operations forces need to partner with the Iraqi special forces, the Free Syrian Army and Kurdish fighters. That’s happening to some extent, Nance says, but it needs to happen more for his plan to work. The United States under the first President Bush promised Soviet President Gorbachev that NATO would not expand east, if the USSR acquiesced to the unification of Germany within NATO in October, 1990. The Soviet Union agreed, and in so doing, dissolved the Warsaw Pact. The Soviets withdrew their forces from Eastern Europe (and the USSR collapsed in the process). Many conservative Republicans were unhappy with Gorbachev’s promise and wanted NATO to expand. 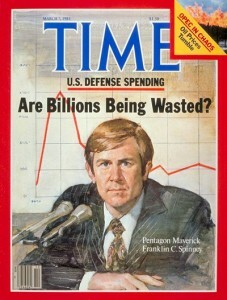 And American arms makers, faced with the sudden end of the Cold War and the real threat of a peace dividend reducing the Pentagon’s budgets (something was never going to happen for reasons I explained in Defense Power Games (1990) , were drooling at the possibility of expanding the arms market in the name of standardization, began lobbying heavily for the expansion of NATO into the former countries of the Warsaw Pact. Only four years later, US President Bill Clinton effectively reneged on Bush’s promise. Clinton, for the smarmiest of domestic political reasons, aimed to magnify his sure electoral majority in the 1996 presidential election. Using the cynical principle of “triangulation,” Clinton stole the idea of NATO expansion from his Republican opponent, Senator Bob Dole, in October 1996, less than one month before the day of the vote. Clinton made good on this promise in 1999, when the Czech Republic, Poland and Hungary joined NATO. That opened the flood gates. The second President Bush agreed to a further the expansion in 2004 (adding Estonia, Latvia, Lithuania, Slovakia, Slovenia, Bulgaria, and Romania) and President Obama agreed to yet another expansion of NATO with the addition of Albania and Croatia in early 1999. Now, as the attached AP report indicates, Mr. Obama is agreeing to yet another NATO expansion with the addition of Montenegro. 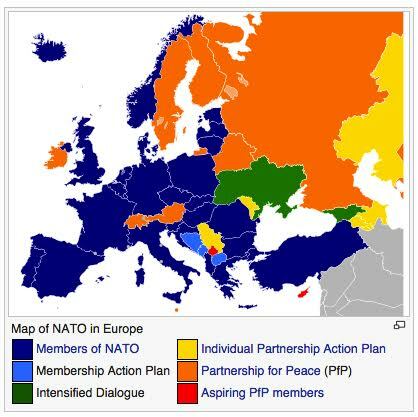 As this map shows, Bosnia and Macedonia are candidate members another expansion and there is a formal dialogue over the question of Ukraine and Georgia joining. In effect, potentially deadly military forces are now closer to Moscow than they were in 1812 (Napoleon), 1914 (Kaiser Wilhelm), or 1941 (Adolf Hitler). The systematic expansion of NATO, detailed here, makes a mockery of the US promise to Gorbachev. Bear mind, this was no minor promise: it was made with a clear appreciation of Russia’s historic sense of vulnerability to hostile forces to its west. It was also made in exchange for Gorbachev’s ending of the Cold War without spilling a drop of blood. Readers trying to understand the psychology of Vladimir Putin and the Russian people, who are being blamed in the West for aggressively restarting the Cold War, would do well to remember who broke their word regarding Gorbachev’s vision of a peaceful end to the Cold War on terms that would not sow the seeds of future conflict — i.e., his now forgotten vision of a common European home stretching from the Urals to the Atlantic. After the attacks in Paris terrorism seems possible anytime and anyplace around the globe. In this intense and acute atmosphere, Statista has created two charts for Huffington Post that attempt to broaden the perspective: one infographic looks back at the last decades in Western Europe, the other one shows the death toll of terrorism in countries outside Western Europe. These numbers do not give clear answers; they rather lead to new questions: Why does it look like the level of fear in Western Europe is so much higher today than in the 1970s and 1980s? And how should European governments act with so many more people being killed by terrorism outside Europe than within? This chart shows the number of persons killed outside Europe since 2001. The Air Force is making some big changes to its internal mission and personnel structures in order to better protect assets and interests from cyber threats, according to top Air Force officials. The service is in the process of creating cyber squadrons that will be part of operational groups at various wings across the Air Force – many have not yet been specified, as it's being done essentially on a pilot-program basis. Air Force leaders also want to empower a cybersecurity role that would oversee the integration of information security into the service's networks and systems. "We're in process of strengthening the senior information systems security official in the Air Force and making that something of an entity that can actually drive change and prioritize fixes for major weapons systems platforms," Peter Kim, deputy director of Air Force cyber operations, said Dec. 2 at AFCEA's Air Force IT Day in Vienna, Virginia. "We're looking at an internal Air Force structure that starts at the base. So at [the annual Corona Top meeting of Air Force chiefs], the four-stars [made] the decision that we would establish cyber squadrons. The cyber squadrons will be in the operations group. The cyber squadrons in the operations group would be responsible for the mission assurance for that wing." Some of the cyber squadron reorganization already is under way. Kim pointed to the 92nd information operations squadron, which is under the 688th Cyberspace Wing at Joint Base San Antonio-Lackland, Texas, as a potential trailblazer for how the Air Force will implement cyber squadrons more broadly. At Scott Air Force Base, Illinois, the 835th Cyberspace Operations Squadron and the 837th Cyberspace Squadron were activated in a Dec. 2 ceremony, according to the Associated Press. The move at Scott Air Force Base is a bid to boost cybersecurity efforts as well as entice the National Geospatial-Intelligence Agency, which is considering an adjacent area of land for its western headquarters. When it comes to modern job-hunting, nothing beats the internet. A survey by Pew Research has revealed that 79 percent of Americans used online resources and information during their most recent search for a job. Non-digital techniques are still relevant, however, with 66 percent of respondents saying they used connections with close friends or family to find a job. Employment agencies and ads in print publications are losing relevance with only 32 percent of American job-seekers using them during a recent search for employment. This chart shows the % of Americans who have used the following resources for job searching. That doesn’t mean that every service needs to be using the same machines or equipment, he said, but it does mean that those systems need to be able to communicate with each other. The Air Force, Deptula gave as an example, is sometimes has difficulty sharing information with ground forces. “The primary data link for aircraft in the U.S. and NATO today is Link 16,” he said. “One of the key data links used by the Army and Marine ground forces is the Enhanced Position Location Reporting System, or EPLRS." The Marine Corps is in the midst of integrating electronic warfare and cyber operations into the way they carry out missions, including the establishment of doctrine in both areas and a transition plan aiming to position the service for future capabilities. Marine Corps leaders have "been writing doctrine, we've been looking at our [doctrine, organization, training, materiel, leadership and education, personnel and facilities], writing concepts for [Marine Air-Ground Task Force, or MAGTF] electronic warfare and for cyber-electronic warfare coordination cells" throughout virtually every level of the service, according to Col. Gregory Breazile, director of the Marine Corps' C2/Cyber and Electronic Warfare Integration Division. "From a MAGTF electronic warfare community perspective, we've had a plan that we've put together…because we saw the Prowler [electronic warfare aircraft] sundowning and we knew we had to do something. So we put together what we're calling a MAGTF EW transition plan to get us there," Breazile said Dec. 1 at an Association of Old Crows event in Washington. "And in the future we see the Joint Strike Fighter, the capabilities we're delivering on the ground to our radio battalions, the integration of all these different platforms out there operating to where we can go in and hopefully do surgical strikes in this area instead of just coming in and clobbering the whole area." As part of the transition Marine Corps leaders are addressing force training and the integration of new and emerging technologies and platforms, Breazile noted. All the MAGTFs now have cyber-electronic warfare coordination cells, and the service also is transitioning some military operational specialties to reflect EW and unmanned vehicle skillsets, he said. "We need to train a new force because we're not going to have the Prowler out there flying around...we're delivering all these new capabilities out there," such as the Intrepid Tiger 2 family of EW pods deploying with Marine expeditionary units now. "How are we organizing and planning, and who are the experts controlling these pods and doing the mission planning for that? And then how are we going to integrate the F-35 into this whole architecture in the future so that we can have an electronic warfare services architecture that, rolling out, will enable our forces to function and re-task these capabilities? We're in the middle of this transition now." 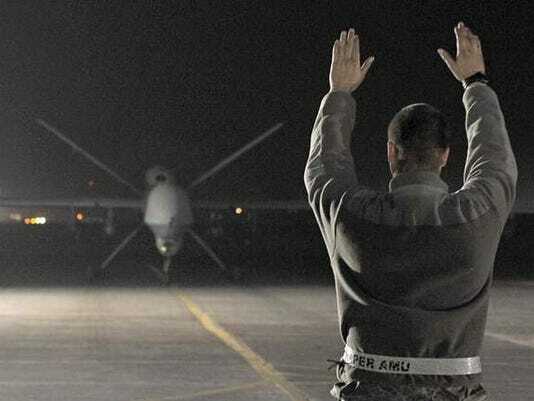 Faced with an ongoing shortage of remotely piloted aircraft operators and the need to train more RPA pilots, the Air Force is hiring civilian contractor pilots, sensor operators and maintainers for MQ-9 Reapers, officials said. The contractors are only involved with intelligence, surveillance and reconnaissance missions, said Maj. Genieve David, a spokeswoman for Air Combat Command. David stressed that Air Combat Command already uses contractors in support of RPA operations, so the latest move “represents an expansion, rather than a fundamental change” in contractor support. The planning and execution of the contractor missions will fall under the same oversight as missions flown by military aircrews, she said.